It’s Showtime for Devin McLeod! Lakeland, FL (June 19, 2017) Mother Nature had postponed racing in the Brandon Ford Wheel Man Series for nearly 2 months, so when drivers and teams began rolling into Showtime Speedway this past Saturday, there was a feeling that racing might be challenging for the 50-lap feature event at the tough quarter-mile bullring in Clearwater, FL. 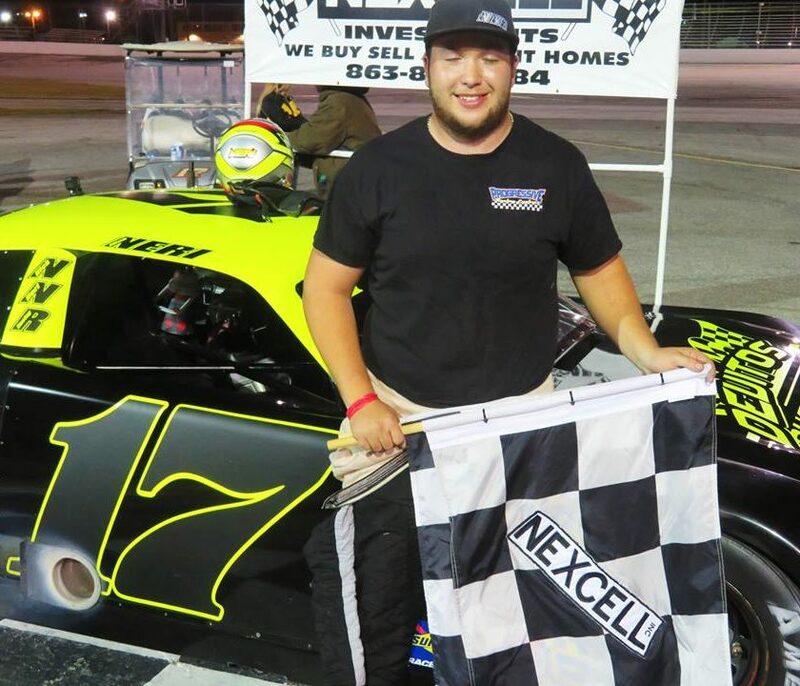 The most recent Series winner, Jesse Henley, continued his momentum by setting fast time and winning the QA1 Fast Qualifier Award, but unfortunately suffered engine issues during the race which relegated him to a 17th place finish. Chris Lewellen started back in the 13th spot, but was able to work his way through serious traffic for a 5th place finish. Brooke Storer started just behind Lewellen and followed him through the field to finish 4th. Series points leader Aaron Williamson showed nerves of steel as he was tested from all sides. Despite being knocked out of the racing groove a couple of times, Williamson showed his focus, determination and professionalism to bring home a well-deserved 3rd place finish. 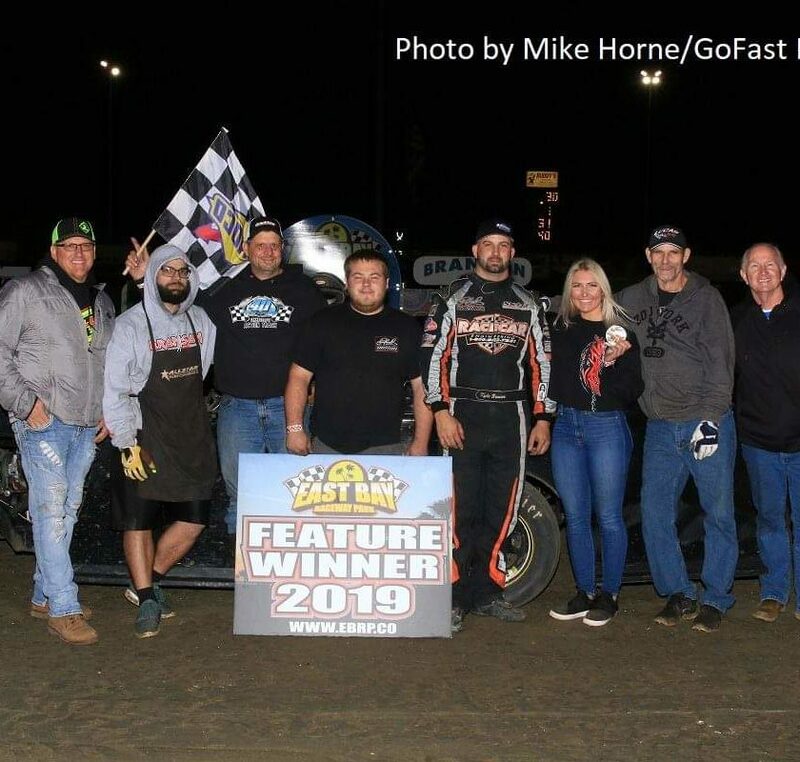 Travis Roland provided the Showtime Speedway fans with some of the best driving of the season after he was sent to the rear of the field for a restart violation early in the race. Roland methodically weaved through tight traffic and by lap 30, slotted into the 2nd spot and held on for his best finish of the year. Roland was awarded the Sweet Steering “Sweet Move of the Race” for his effort. Devin McLeod knew he had a strong car, just missing the pole by .002 seconds, and after the inversion, rolled off 9th on the grid. McLeod had his share of issues to deal with as well. 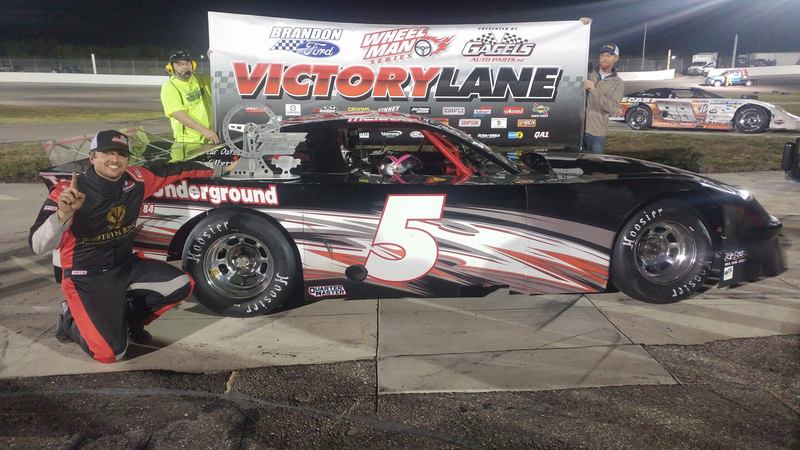 After being caught up in an early incident, he dealt with suspension problems throughout the 50-lap event, but despite the difficulties, drove the #5 Underground Utilities Chevrolet to his 2nd victory of the Brandon Ford Wheel Man season. Daniel Webster was awarded the Driven Steering “Hard Charger” award. Winners of the Gagels Auto Parts Tire Giveaway were Rex Struble, Anthony LaPointe, Jesse Henley and Sean Bass. The next event for the Brandon Ford Wheel Man Series is this Saturday at Citrus County Speedway. Pit gates will open at 2pm and practice will begin at 3:00. 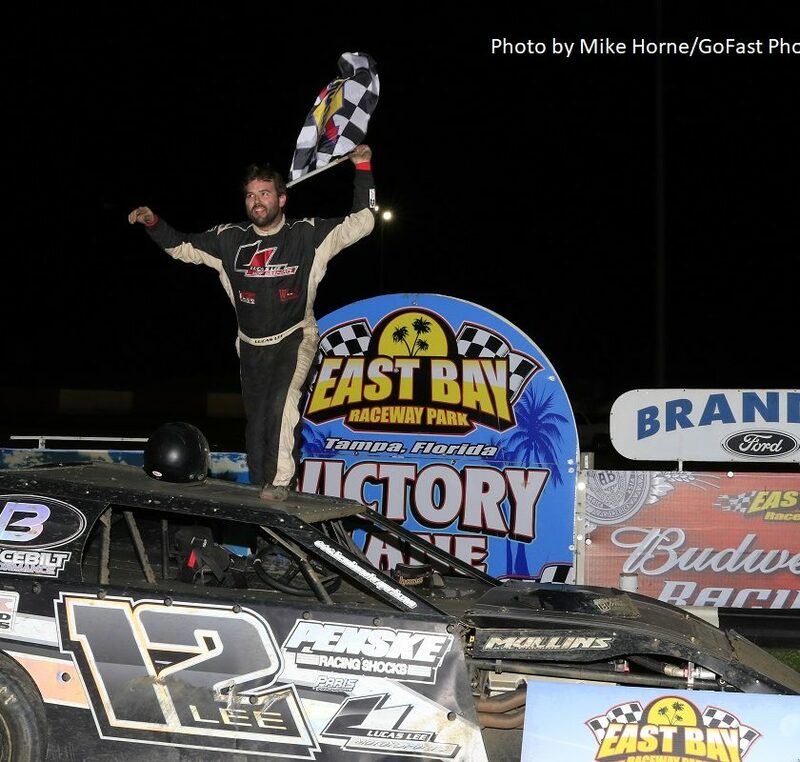 Also on the schedule are Pure Stocks, Outlaw Street Stocks, Mini-Stocks and the always popular Demolition Derby. For more information about the Brandon Ford Wheel Man Sportsman Series, find us on our Facebook page @WheelManSeries.